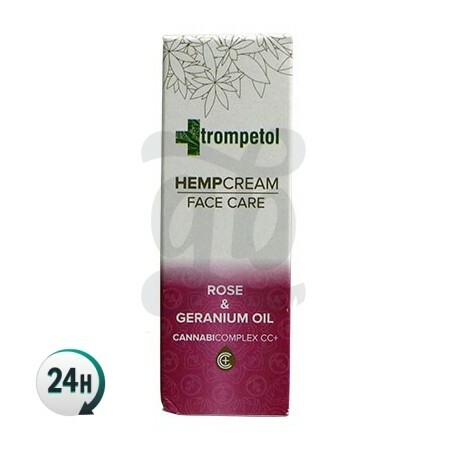 CBD Trompetol Face cream 40ml. Regenerating. This hemp-cream by Trompetol is perfect for facial care, allowing you to keep your face hydrated and strong – regenerative and calming thanks to its 100% natural ingredients. 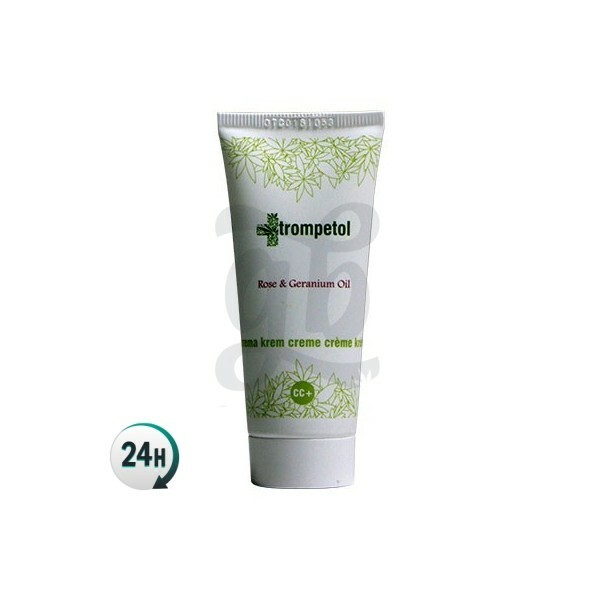 With this Trompetol face cream you’ll be able to keep your face beautifully hydrated and soft. It contains cannabinoid complex plus, a complex that contains natural ingredients such as jojoba oil, hemp seeds, shea butter and Damascus rose. All of these natural ingredients make for some pretty beneficial effects; it’s hydrating, regenerative, antioxidant and can give your skin more elasticity and keep it shiny and smooth – the face is one of the most exposed areas of the body and needs the right care. Perfect for men and women, it can be used during the day and at night. It has a soft, pleasing fragrance. First, wash your face with water and soap. Apply a pea-sized dollop on each cheek and on your forehead and rub it in nicely. 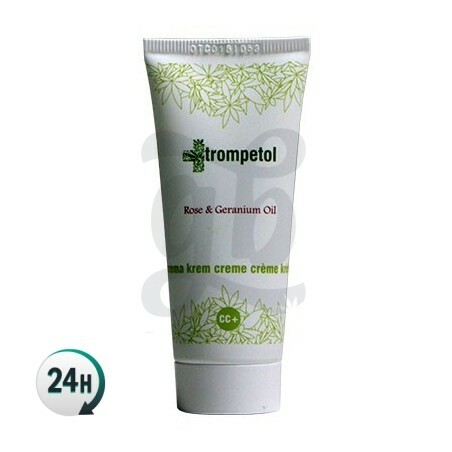 Crema Facial Trompetol de 40ml. fantastica! no solo como hidratante si no como regenerante cuando salen granos.